I love Chrome, but what’s this menu bar icon that it’s just added after the last update? If you’re like me, you keep your menu bar squeaky clean and slim. Also, I want all notifications to come through OSX’s Notification Center. 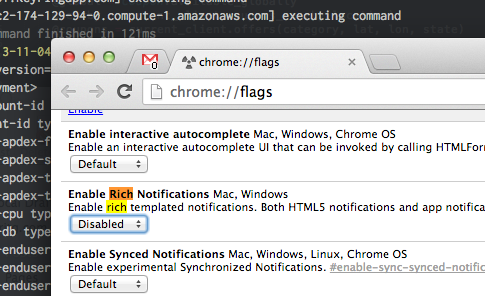 I don’t know if disabling Chrome-specific notifications accomplishes this — let me know if you do.